Downey is easily withing driving distance from many of the 21 California missions planted by Spanish padres along the El Camino Real. Instead of driving, today we decided to take the train down to San Juan Capistrano Mission. It was a nice way to spend the day, absorbing some history and being impressed by how much of the adobe structure is still left standing. 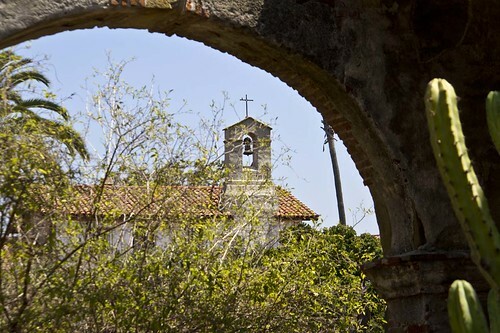 The mission dates back to November, 1776, when it was founded by Junipero Serra. It was a beautiful summer day. 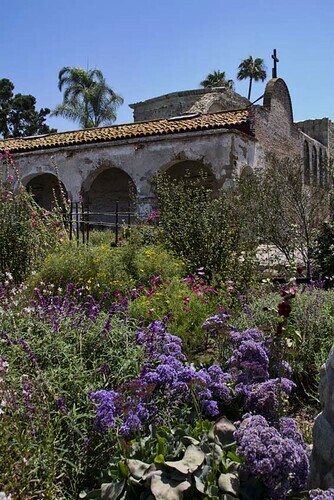 The mission covers a fairly large area, which is filled with an amazing variety of flowers and plants. 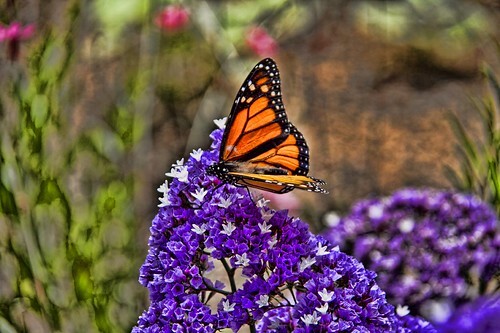 It seemed there were butterflies and hummingbirds everywhere we went. These missions´ old buildings always evoke certain movies from the Far West. I know what you mean about the far west. Visiting the missions always makes me realize what a different kind of history we have in California vs. the East Coast of the US. I can remember, at least 30 years ago, visiting the Capistrano mission to see the returning sparrows. Quite a sight. I understand the padres are trying to do things to encourage the sparrow population to come again in the springtime. Growing populations are not a big draw to wild birds.